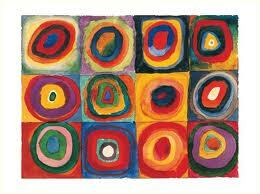 I've been working hard on my Kandinsky commission and am loving using so many lovely colours! 1. Divide the board into squares - 24 in all! Start drawing the designs. 2. 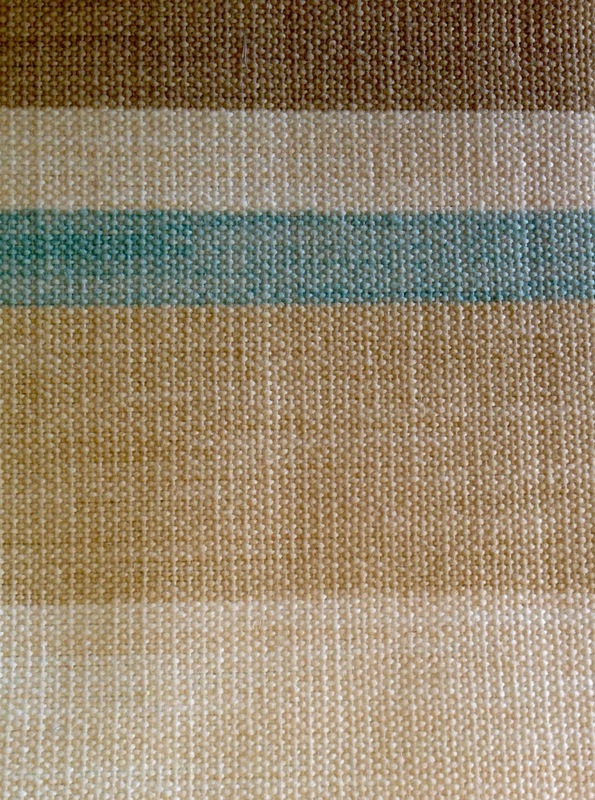 Choose the colours from the colour palette for the first square - ready to go - eek! 3. Great to have started - love mixing the colours! 4. Small squares of abstract art - scrumptious nuggets of colour to uplift the soul! So, all going well and I am really enjoying making it! I will keep you posted, and blog about it again soon. Do take a look at my website with the festive season coming up - I ship my mosaics all over the world but do give me enough time! Receive something you want this year! 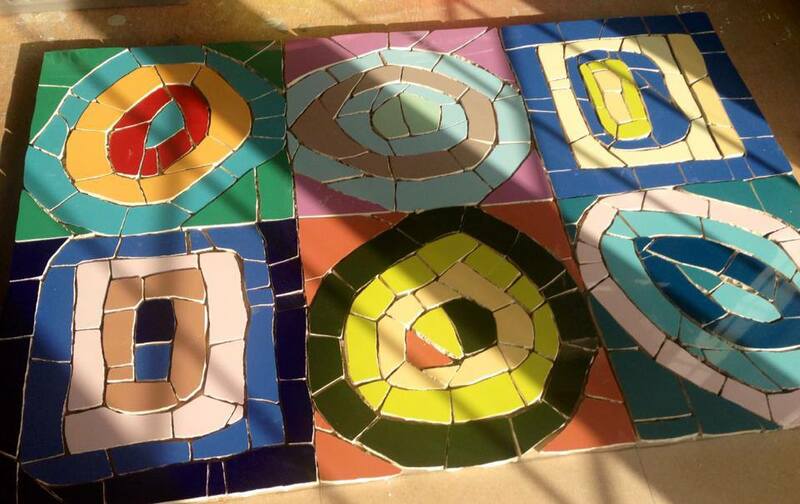 Join me on my Variations commission journey- a mosaic inspired by Kandinsky. It is always very exciting to have a new commission - especially making one of my favourite mosaics - it's the colours that always do it for me! This is the mosaic that hangs in our kitchen - I wont part with it! My clients came round with a swatch of their curtain, and after a long chat and coffee about nothing to do with mosaics, they chose some of tiles from my wide selection, to complement the curtains and to add some colour to their room. The tile colours chosen by my clients - lots to work with! So, now to order the 19ml MDF - 60cm by 160cm - a whopper! I will continue to take mosaic orders on my website during this commission so do have a look and see if anything catches your eye! Mosaic seascape wall sculptures - new work from Just Mosaics! I got really excited making these new mosaics- see below! I just knew from the moment I had the idea, I would like them. And as I gathered all the materials together (tiles, driftwood, stones, glass etc ) and drew the wave shape for my husband to cut the MDF blocks, my heart started beating faster. I felt anxious to get on and see how they turned out. 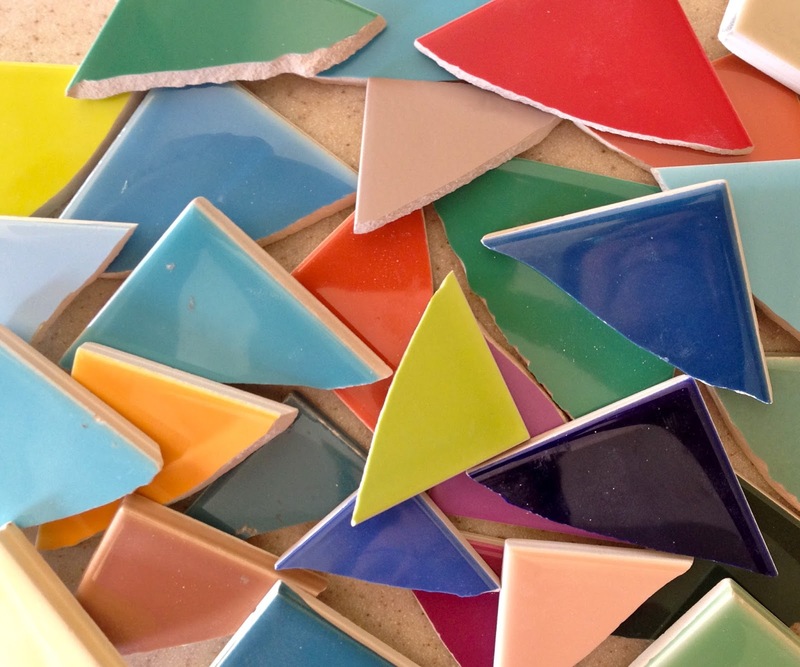 I'm always on the look out for unusual tiles, for occasions such as these - when I can let my imagination run riot, as I think of the ever changing shapes, colours and tones of the sea, and try and reflect that in my mosaic. The reaction to the Turquoise Seascape on my Facebook page has been great, but because I like them all so much, I feel that 'artist's angst' again about how they will go down when I put them up for sale - I feel protective towards them already! What do you think of them? ....I can take it!